How to Source Investment Castings from China? Internet searching is the most simple and convenient way for purchasers to source investment castings from China. 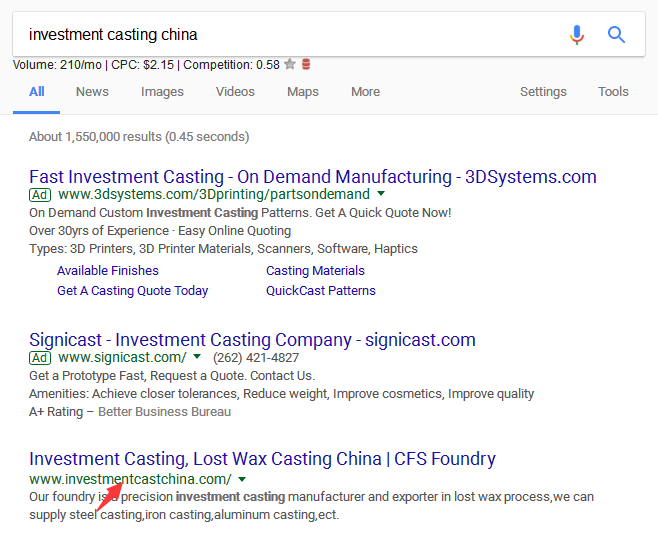 Casting China is a great way for online buyers to get unique investment casting products at cheap prices, but it can be complicated and for first-timers, it’s down right daunting! So read on as we review the two most popular forms of sourcing investment castings from China. Economically speaking, the reason producing investment castings abroad is so cost effective stems from the value of our currency and the cost of labor. The American Dollar is currently equal to 6.68 Chinese Yuan . You can understand why the labor costs are cheap when you know the Chinese factory worker is getting paid an average of $2 USD an hour compared to over $23 USD in America. The cost of living is also much cheaper in China and to exemplify that I often compare the price of bottled water in both countries: 25 cents in China versus 1+ dollar in America. When you’re looking to produce investment casting products like stainless steel castings, labor is your main cost outside of raw material. The cost of labor in countries through Asia is always going to be cheaper than in America. Buying online is the most simple and cost saving method for overseas companies to purchase investment castings from China foundry. You can do it from home or office some search engines like Google, Yahoo, Bing, ect. Of course, there are also some B2B marketplaces. 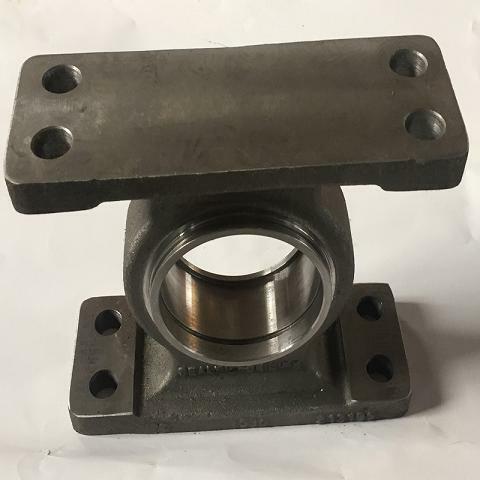 Although this way is very convenient for our customers to contact a supplier, but keep in mind that before placing the order, you need to keep communication with the sales manager or anyone else from the investment casting company, and understand the capability of investment casting. Otherwise, the supplier selected may not meet your demands. Another point is that before mass production, it is necessary to ask for a sample for inspection. You can build better relationships with suppliers by meeting up with investment casting suppliers and talking with them directly. Don’t be shy about getting to know them – in China business dinners are where many great deals are made and it almost expected if you want your supplier to give you a good price. But Travel to China is expensive and it is time-consuming. But if your item is a great deal, then it is worthy to plan a vist to Chinese investment casting company. When searching for a investment casting source, this should be your target. Going directly to an investment casting manufacturer is almost always the best approach, as you’ll have the most profit margin. The problem lies in finding the right manufacturer to work with and many don’t employ reliable English speaking sales reps. So good communication is vital important when cooperating with Chinese investment casting manufacturers.